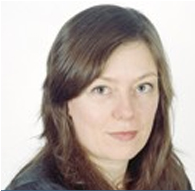 Fiona Candlin is Professor of Museology in the History of Art Department at Birkbeck. She is a specialist on small independent museums and is currently leading the large-scale research project ‘Mapping Museums’. Her publications include Micromuseology: An analysis of small independent museums (Bloomsbury 2015), Art, Museums, and Touch (Manchester University Press 2010) and (with Prof Ray Guins) The Object Reader (Routledge 2009). 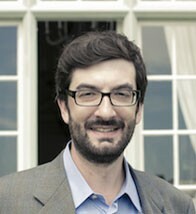 Alex Poulovassilis is Professor of Computer Science in Birkbeck’s School of Business, Economics & Informatics, and Director of the Birkbeck Knowledge Lab. Her research is in the design of specialist data and knowledge bases to support learning communities, and the development of search, analysis and visualisation techniques for such resources, working in collaborative interdisciplinary projects with domain experts from education and from across the spectrum of arts, sciences and social sciences. The goal of such research is to effectively support communities in capturing, organising, discovering and sharing their knowledge. Andrea Ballatore is a Lecturer in GIS and Big Data Analytics at the Department of Geography at Birkbeck. 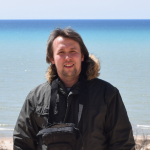 His research interests include geographic information retrieval, volunteered geographic information, Internet geography, geo-semantics, as well as media studies. His current work focuses on how people create and consume digital representations of places on the Web. 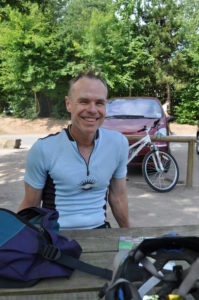 Toby Butler is a historical geographer and heritage consultant with a particular interest in oral history, digital heritage, and mapping memories. For six years Toby led an innovative MA programme in Heritage Studies: place, memory and history at the Raphael Samuel History Centre. Toby is known internationally for his work exploring how history and memory can be mapped and used to interpret places and their pasts. Projects include Ports of Call, working with community groups and artists around the docks of East London to map and historically interpret the area (www.portsofcall.org.uk); the Bethnal Green Disaster Memorial Project (www.bgmemorial.org.uk) and Groundbreakers, which focused on mapping and interpreting the pre-Olympic history of the Queen Elizabeth Olympic Park in Stratford. Dr Val Katerinchuk has taken over from Nick Larsson in developing the Mapping Museums database, Web Application and Web Site. He has a PhD in Computer Science from King’s College London and recently developed an agent-based land-use model for the international project “Food Security and Land Use: The Telecoupling Challenge”. Prior to that Val designed a specialist data visualization web interface, working for VOSS solutions. 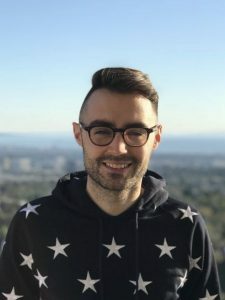 Dr Jamie Larkin was the Researcher on the Mapping Museums project, where he took responsibility for data collection, and has since been appointed Assistant Professor of Cultural and Creative Industries at Chapman University, California. 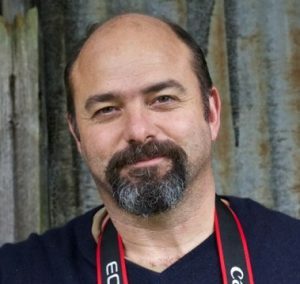 He has published on the development and management of the museums sector in the UK, from both historic and contemporary perspectives, and is current Deputy Editor of the journal Public Archaeology. Jamie continues to contribute to the Mapping Museums project as a co-author. Nick Larsson has worked in Research and Development since the start of his career and now has 30 years experience in creating a successful and stimulating research environment. He is a TOGAF certified architect and, before joining Birkbeck, he was an IT architect in the Data Science section in the R&D department of Syngenta. Nick was responsible for developing the first version of the Mapping Museums database and Web Application. Mark Liebenrood is currently responsible for checking and updating the dataset. Otherwise, he works for Birkbeck’s Research Centre for Museum Cultures and is a fully-funded research student in the History of Art department at Birkbeck, working on the histories of closed museums in the UK. He has worked for Tate, latterly as digital editor on the J.M.W. Turner sketchbooks project, and contributed research to a Tate In Focus project on Louise Nevelson’s sculpture. Jake Watts is a political historian interested in ideas about culture, temporality, identity and democracy in twentieth century Britain. These conceptual concerns have led him to research a range of topics including party politics, gender politics, populism and Brexit. 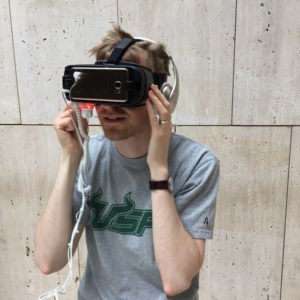 Prior to joining the Mapping Museums team, he completed his PhD and taught at the University of Sussex. 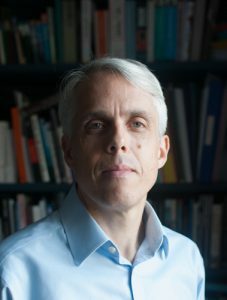 His doctoral thesis explored the identity politics of party organisation in the British Labour Party since 1979 and was funded by the Economic and Social Research Council.